Talent Search People supporting the campaign "Caps for a new life"
Talent Search People has joined the project "Tapones para una nueva vida" ("Caps for a new life") in our offices in Barcelona. For several months, all the plastic tops that are usually thrown away are now being collected and delivered to an NGO involved in this project. • To help under privileged children gain access to medical treatments or to orthopedic equipment unregulated in the health system, in order to improve their quality of life. 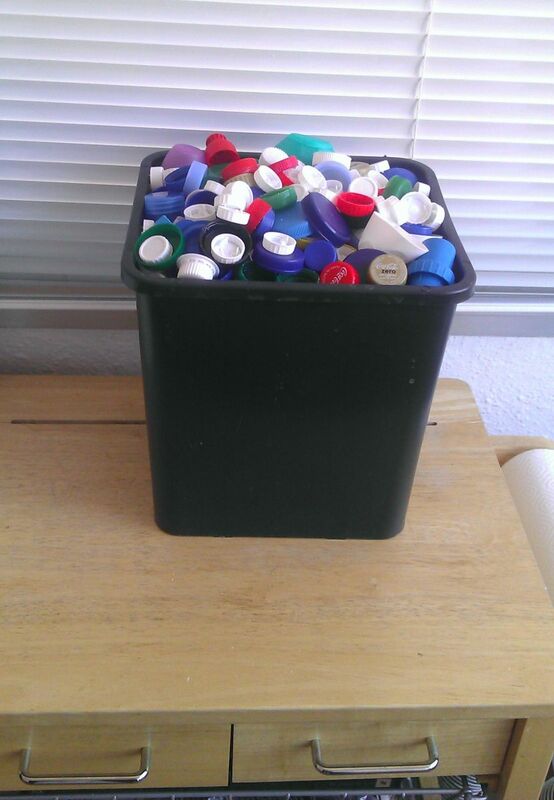 •To raise awareness throughout society by participating in a simple recycling action by making a simple gesture as easy as keeping plastic caps instead of throwing them away haphazardly. How do we achieve these goals? At the beginning of the year, 336,570 kilos of caps (113,657 tonnes) had already been delivered to the recycler, for an amount of 99,771 Euros. This amount represents an impressive number of 168,285,000 caps, i.e. a trailer full every day. Considering that to obtain an electric wheel chair we need about 20 tonnes of plastic, we realize the project's success! And other big news: through the entire amount of recycled plastic, we have avoided 50,455 kilos of CO2 emissions being delivered into the environment. That is, the emissions of a car doing aroute of 2,800 km.